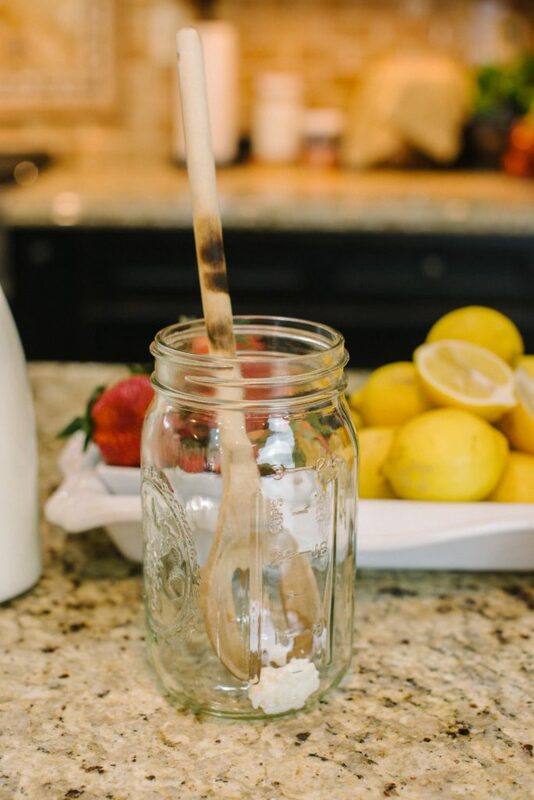 Place the jar in the corner of your kitchen countertop or in a cupboard. 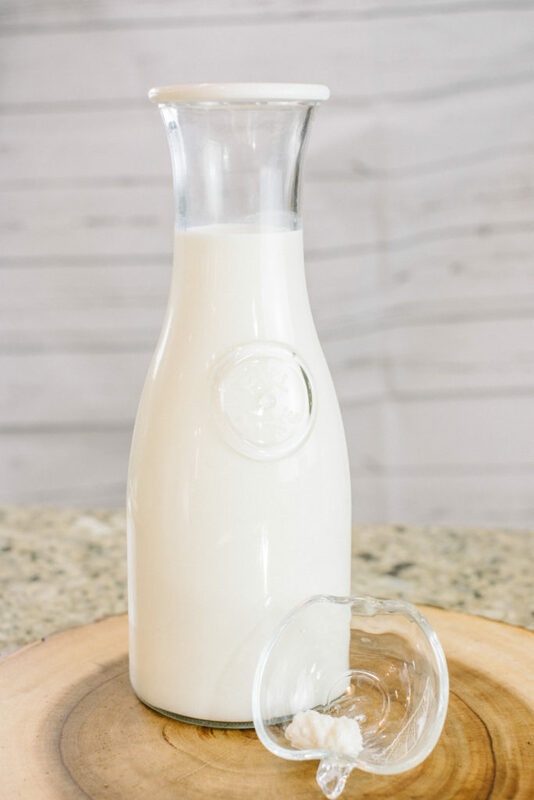 Let it sit out of direct sunlight for approximately 18 to 24 hours at room temperature 70-80⁰F (or until the milk has thickened). 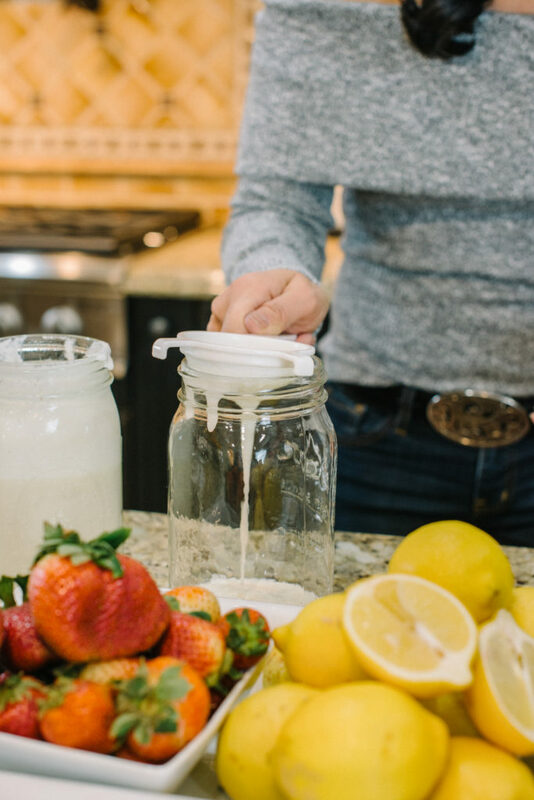 Remove the kefir grains once it has reached the consistency you prefer. 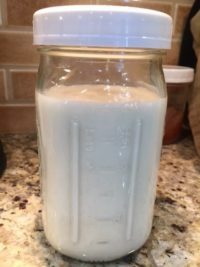 (For a thicker consistency, let it ferment longer). 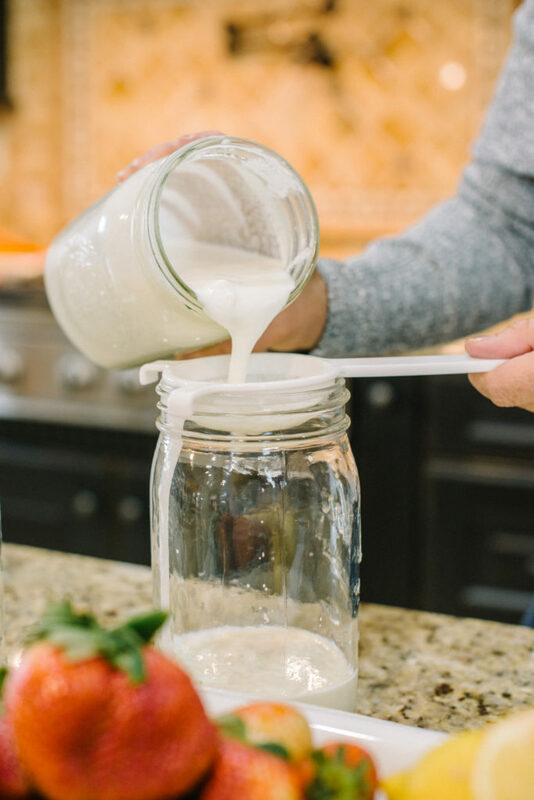 Add fresh milk, and repeat the process for another batch. Any type of milk is fine. Just make sure it is NOT Ultra-pasteurized! 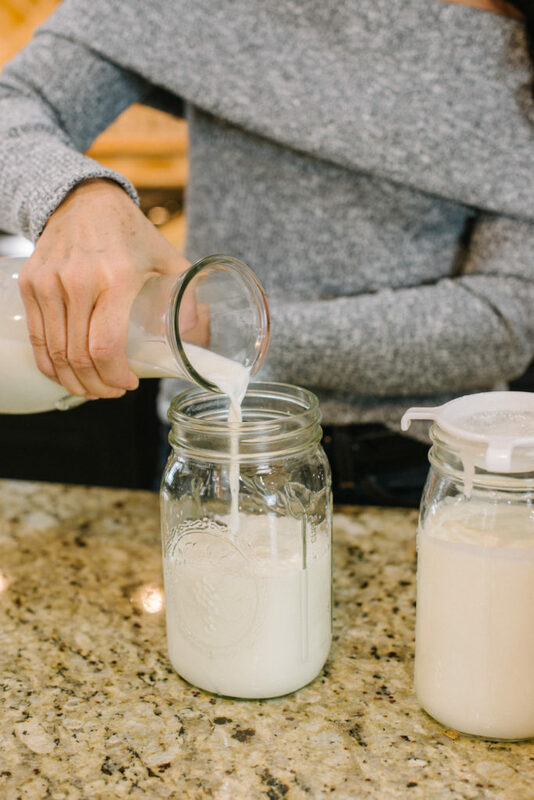 If you choose a milk other than cow’s milk (like coconut milk), just make sure to ‘feed’ your grains in cow’s milk every few batches. It needs the lactose to survive. 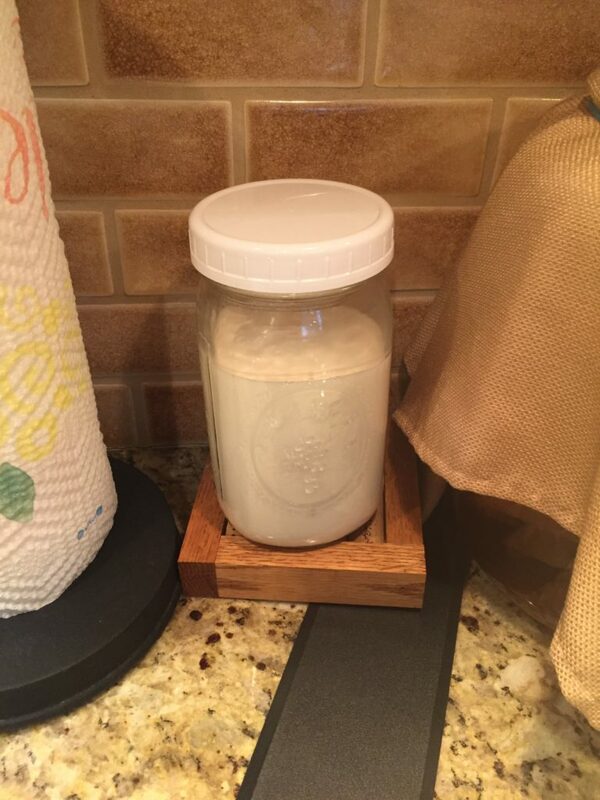 Since a kitchen countertop can be cold (especially during winter months, place the Mason jar on a coaster). This will help make sure it cultures quicker. You will know it’s done when you start to see separation at the bottom of the jar. 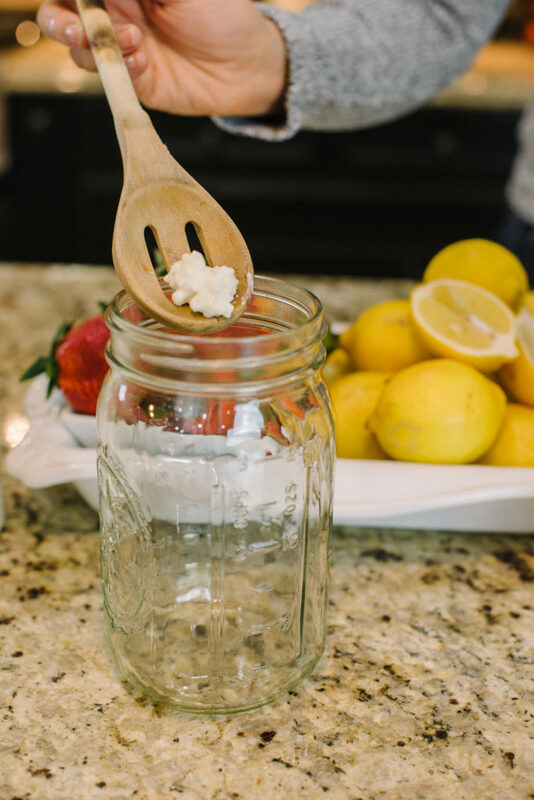 I like using wide-mouth mason jars so I can use an electric hand mixer right in the jar instead of having to make more dishes using a blender for the flavoring. 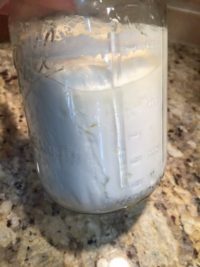 Why second ferment? Flavoring helps it to be less tart. Plus it will make it “fizzier”.